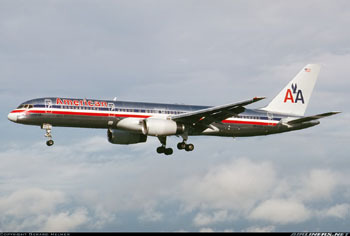 On the evening of December 20, 1995 at approximately 2142 Eastern Standard Time (equivalent to Cali, Colombia local time), American Airlines Flight 965 crashed into high terrain during approach to Alfonso Bonilla Aragon International Airport, Cali, Colombia. Of the 163 people on board only four survived. The weather conditions that night were relatively clear skies and light surface winds with no moon. The airplane involved in this accident, a Boeing 757, was equipped with cathode ray tubes (CRT), or "glass cockpit" technology, including screens which display flight path and navigation information, engine information, and a Flight Management System (FMS). A Ground Proximity Warning System (GPWS) was also installed and functioned normally at the time of the accident. The investigation concluded that this accident was attributed to flight crew human error involving navigational and crew resource management lapses. This Controlled Flight Into Terrain (CFIT) accident became the catalyst for requiring the installation of terrain awareness and warning systems (TAWS) in transport airplanes.